It's getting to be that time of year when you start planning your Christmas gift lists. 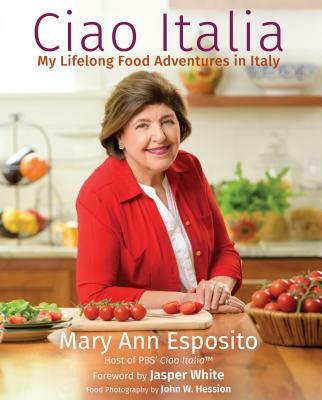 This year Mary Ann Esposito and Ciao Italia are putting together a few different gift recommendations for the cooks, chefs, and foodies on your list. The following are Mary Ann's cookware gift suggestions. As you can see, she loves just about all of the All-Clad products, the Le Creuset products, and the Gastroflex muffin and cake forms. If you don't see something here you like, you might find another product from those companies that suits you. Over the next few weeks we'll show you her suggestions for appliances, kitchen tools, and kitchen storage. Hmmmm, is that it, just that quick listing of items in the second paragraph? I sure don't see any of those itlems listed, pictures or reviewed separately...Am I missing something? I really like your blog - you have some cool stuff there. Our company Incredible Days (www.IncredibleDays.com), based in Brookline, MA sells a wide range of exciting experience gifts. For example we offer the chance to pilot a helicopter; take a cooking Italian masterclass; have a recording studio experience; try out as a DJ; take a champagne hot air balloon ride and much more. I think your readership may find our gift ideas and our concept quite interesting. They are a little different from traditional gifts.